If you have gone through a web redesign already, the thought of another web redesign can be truly upsetting. That’s an understandable reaction. After all, you’re thinking about all the time that must be used for such an endeavor. Then there’s the matter of resources, and of course there’s also the cost to consider. It’s a pain in the you-know-where. But actually, it may not be as tedious as you think. You don’t have to redesign everything. What you need to do is to just update only the most important pages on your website. That’s it. In fact, your website can feel “new” when you just redesign the home page and the content landing pages. It doesn’t take as long as you suspect. You can use responsive design. This is when your website reconfigures itself automatically to any device that accesses it. It looks alright when you use a desktop PC or a smartphone. 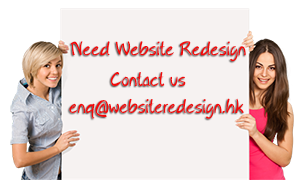 The convenience of this approach is that you don’t need to make another completely new website just for mobile devices. That approach is a time waster. And of course, people—and Google—love and appreciate responsive design as well. In one survey, about 3 out of 4 website visitors say that they’re more likely to visit a website if it can be used properly by mobile devices. It shouldn’t be expensive at all. Only about 2% of marketers say that their web redesign costs take 75% of their marketing budget. In fact, 75% of marketers say that they only reserve 10% or less of their marketing budget for web redesign. You don’t have to personally do it yourself. Unless you’re actually a web designer, then your most cost-effective approach is to simply foist the task to a pro. Get one who’s experienced and specializes on web redesign, and who listens to what your goals are. They can then figure out the proper changes to make. As for you, you can then focus your time and effort on what you actually do best. As you can see, the matter of web redesign is not actually as tedious as you think. Limit what you need done and then have a pro do it. That should solve all your problems.